Demon Music’s forthcoming Five Star box set sounded very promising but the track listing hadn’t been officially confirmed by the label – until now. As promised, Luxury: The Definitive Anthology 1984-1991 (a 9CD+DVD set) delivers bonus tracks for every studio album and three further discs of seven-inch remixes and 12-inch remixes (with lots of dub mixes and instrumentals). The final disc is a DVD with 27 promo videos. There are still some SIGNED exclusive versions of this set available. Luxury: The Definitive Anthology 1984-1991 will be released on 29 June 2018. Are you happy with this track listing? Leave a comment and let SDE know. When I found out about the Phil Harding Dub was Shep Pettibone’s and Shep Pettibone Dub was the Vocal Mix I got so disappointed. Looked everywhere but no info about whether Edsel/Demon was going to retify thses. I was kind of let go. But recently I re-checked and found out someone said on Discogs that Edsel/Demon pressed & made replacement disc available in Jan 2019. I sent them an email during the weekend. And then I saw it in the Heaven 17 post also someone mentioned the same thing. And I just got email confirmation that my replacement is sent. Yes, I read about that as well disc 9 track 7 somewhere somebody plays the vocal mix instead of dub mix. That’s what we were after, paying big money for those while we got the Cherry Red reissues plus the vocal mixes already. Can you find out more about it, Paul S., please? Has Demon replied to the problems regarding some wrong mixes ? Will they repress the cds concerned ? Was really hoping to see an extended version of Godsend included in this set. I have looked everywhere for a 7 min version that someone has uploaded to Youtube. I’m beginning to wonder if its made up. Yes, it’s fanmade. The same person did an extended version of ‘Rescue Me’ using the LP Version & Instrumental. If you whingers on here werw actually real 5 Star fans, you would have ALREADY purchases all the Cherry Red re-issues and have the remastered vocal mixes. This new set just very almost completes the package for the real fans that already own the Cherry Red releases. Im hyped for this!! There really is no need for such anamosity. I’ve been a 5 star fan since 1985 and do own the Cherry Red re-issues. However, my point of view is different to yours, I would still prefer the remastered vocal mixes together in one place. For me, personally, I’m not interested in dubs/instrumentals. A difference in opinion doesn’t automatically mean someone is in the wrong, moaning, whinging, complaining or not a true 5 star fan. It simply means they’d prefer something different on a definitive collection. I’m glad you’re hyped for this and looking forward to enjoying all the dubs and instrumentals. It’s just not for me. You are obviously ‘made of money’, unlike many people, if you can afford to buy a box set that duplicates 6 albums that have already been reissued. As for myself, and probably many others, I can not afford or am not willing to buy a box set just to gain 2 discs of mainly instrumentals and dubs when all the previous content from the earlier reissues, especially all the original 12″ versions and extended remixes, could have been so easily added to make the box set totally complete and not the “Definitive Anthology” it is meant to be. As for us “moaning”, as you so rudely refer to it, we are entitled to our opinion as much as you are. Maybe you have money to waste, where as I and others do not. Also you assume everyone must have the previous reissues, where as maybe they do not. You are obviously ‘made of money’, unlike many people, if you can afford to buy a box set that duplicates 6 albums that have already been reissued. As for myself, and probably many others, I can not afford or am not willing to buy a box set just to gain 2 discs of mainly instrumentals and dubs when all the previous content from the earlier reissues, especially all the original 12″ versions and extended remixes, could have been so easily added to make the box set totally complete and not the “Definitive Anthology” it is meant to be. As for us “whingers” moaning, as you so rudely refer to us, we are entitled to our opinion as much as you are. Maybe you have money to waste, where as I and others do not. Also you assume everyone must have the previous reissues, where as maybe they do not. Anyone got any idea why the Lew Hahn New York Vocal Mix of If I Say Yes wasn’t included? I get the feeling that it’s the one mix that a lot of people were hoping to see included. NM – That cassette-only mix was a case of ‘tried and failed’. It couldn’t be found in time for whatever reason, so yes, along with Problematic, it would’ve been a really great inclusion, I agree. If the demand is there, maybe there’s a slight chance another package can be considered… and that mix can be included there, if it can be found of course. @Lee Anderson/Joe/Andrew/Cal M, I agreed! Cherry Red should bundled their reissues + remixes anthology so people can get all the 12” vocal mixes with one purchase. I just hope THIS set could be a little bit cheaper. I’m buying this set just for the dub/instr/missing mixes from Cherry Red reissues. Perhaps I’ll wait for the deal alert from Paul S. hahaha. CD singles boxset is also welcome, just include Problematic (7”/12” mixes). Cant help thinking the Dubs should and might come out in their own right as Remix Anthology volume 2? Francis et al that are complaining regarding the vocal mixes. You have had them already on the Cherry Red re-issues. I can bet you my whole 5 star collection that had this box set contained all the mixes already released you would also be moaning, so they can’t win. If you actually took time to listen to some of the dubs and instrumentals you might actually discover some of the essence of the remixers of this time – the Somewhere Somebody Dub Remix is one of the best remixes produced for 5 Star. So if you want the vocals, purchase the Cherry Red issues – this is for completists to have these vinyl only mixes and b sides available digitally. There’s also more to come following some extra mixes that were submitted too late, so we could potentially get a singles box set containing all the vocal mixes you crave, yet i’m sure there will be complaints over that as well because it’s another release. Be happy someone is actually investing some time in this underrated group. So for those of us fans who have collected everything should pay extra for the boxset, which it would be, if it was further expanded to add stuff already released? This is a boxset for completest as an accompaniment to the stuff Cherry Red released. Labels already get a load of flack for churning out the same stuff time & again, with mainly the same mixes to, only add 1 or 2 exclusives. This is Edsel actually listening o the fans and giving most of them what they wanted. Paul asked the question, are you happy with the track listing? I commented I wasn’t and clearly you are. I’m not complaining or moaning, I’m just answering the question Paul posed. I do not want to buy this boxset and end up with all the albums duplicated which is what will happen! I am not made of money like some!!! So let me see if I’ve got this right; if I buy this and the Cherry Red 12″ CD collection I will have everything that matters. I don’t want to buy the albums seperatly whatever bonus material might be on them. I’ll download this track listing and go through it and the 12″ collection with a fine tooth comb (whatever that means) before making a final decision. But for now, count me in! One on Discogs for a mere 33 quid. No it’s not – they are boring. Not sure that I will be paying an extra £9 for the signed copy of the set. Any idea why such a large difference in price. Personally I’d have preferred newly remastered versions of the main vocal mixes to be included not all these dubs/instrumentals. I won’t sit down and listen to dubs. So for me, I’m out, not paying top wack for two discs of them. I’ll have to make do with my Cherry Pop editions. Shame. I totally agree with you. I think they have made a right balls up of this boxset leaving off all the main vocal 12inch extended versions and mixes. I will not be purchasiung this box set however good it looks. Since we didn’t get either concert or any BBC performances, I’m really hoping we do get the full “Strong As Steel” video too. But glad to hear the videos will be better quality. “If I Say Yes” was awful quality on their “Performance” dvd set. Anyway very much looking forward to this – I’ve ordered two. Hoping at some point we could release their last two albums and their first single “Problematic”. Also hoping for a cd single box set – they have a huge and colourful back catalogue with some great picture sleeves which capture the whole decade (and early 90s) perfectly. And lastly of course the concerts on DVD – especially their Children of The Night 1987 Ultrabrite one. Lots still to do with Five Star! All the main 12inch extended versions and remixes that would have been on the original A-Sides have not been included but instead we get dub and instrumentals. I will not be buying this but will stick to the album reissues and the anthology remixes collection. What’s with all the “DUB” versions and instrumentals?? With remixes, I prefer original 12″ extended versions with the song structure intact…I am not big on dub mixes at all without the original 12″ included…because dubs usually do not include vocals at all, just sections looped…they should have really included the original MAIN 12″s over dubs and instrumentals…I don’t want to have to purchase a separate remix collection to get them!! This set should be one-stop shopping, period!! If it is the case, I may land up cancelling my order completely…I do not want 2 discs of dubs and instrumentals, period. I totally agree. Dubs are just remixes with lots of the singing removed and instrumentals with all of the singing removed – BORRRRRING! Each to their own. Some of the Pettibone dubs are the best late 80s mixes produced. Why can’t they do a decent band like Loose Ends instead? I’ve had the 2011 deluxe of So Where Are You? on my Discogs wantlist for about 5 years now! Never thought it would go out of print so quickly. 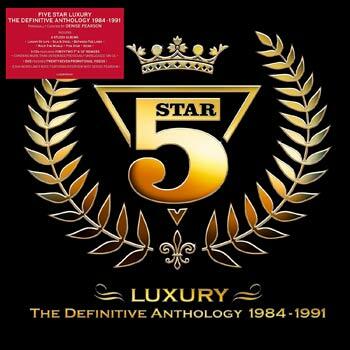 For me this is a perfect box set after the 5 star “remix anthology”. Mostly the dubs and instrumentals were forgotton on most re-releases. Here is what i want to have to complete my 5 star collection. Ordered! And many thanks for the very good selection. Im sure I saw these at one of those 80s revival gigs a good few years ago and there were only 3 of them on stage ! Fantastic . Thanks so very much Denise Pearson. It’s worth waiting to get something like this. . Everything is Fantastic. Thanks so very much again Denise for making this affect. To me this should live up to its name. DEFINITIVE ANTHOLOGY. In order to do that it should either contain the very best of the band or be complete. It contains offcuts from another labels reissues. Probably left off because they weren’t that good. As for not revising stuff, why are the original albums included then? Waste of time. Massive mess up. Like the group in its current form of Deniece and four imposters. As far as the mixes on disc 8 and 9, these are all unavailable on the Cherry Pop album reissues and Remix Anthology except for 2 songs. “If I Say Yes Dub Mix” from disc 8 is also on the Remix Anthology where it’s called “Lew Hahn US Dub Mix”. The timing is 6’05” vs 6’03” so I’m assuming its the same mix but perhaps not? The other mix is “Whenever You’re Ready Crazy Dub Jammy” from disc 9. That is also available on the Remix Anthology however the timing is different. On the box set it’s 6’13” but on the Remix Antholgy it is 5’12”. So overall very little duplication. Not sure if the two remix discs are enough for me to buy the box set as I already have the Cherry Pop reissues and Remix Anthology. If history means anything, a Deal Alert from Paul will probably pull me in. The ‘If I Say Yes’ should be the Pettibone Dub Mix, which is the same length as the Lew Hahn one. They are aware they are different so it should be the mix not on the ‘Remix Anthology’. If I Say Yes [Dub Mix] should be the Shep Pettibone dub from the UK 12″, not the Lew Hahn US Dub Mix, but both have similar run times. Whenever You’re Ready [Crazy Dub Jammy] was edited on the Remix Anthology and not the full length mix. A similar thing happened with Are You Man Enough? [Shep Pettibone 7″ Mix]. The Remix Anthology has an edit of the 12″ mix, faded out at around 4:25, but here on the new box set, it’s the correct 7″ version, with a dead end, that appeared on the US 7″ at 4:15 . Anthoney, thanks for explaining that. You seem to have been involved in this release. I want to thank you for not blindly throwing a bunch of crap on there but actually taking the time to see what is already available and offering tracks or remixes that currently aren’t available. Great job, there is very little to complain about here which is rare! Just wanted to add to do some quality control so Demon doesn’t repeat the mistakes they made w the Dead Or Alive (otherwise excellent) boxset. I hope people aren’t disappointed with the DVD quality. Even after they were supposedly fixed, I thought the quality of the promo and TOTP DVD on the Dead or Alive set was lamentable. Hi. There was a Shep Pettibone dub of If I Say Yes which was just called ‘Dub’ so I’m hoping that’s the version here. Also the USA had a slightly longer version of WYR crazy dub jammy so maybe this is the other version. LMAO!!! I remember that well!! No surprises :( Order remains as more or less per original track listing but don’t understand the omission of Let Me Down Easy (B side of If I Say Yes), seems to be the only one missing now. It will be on the boxset, they just haven’t added to the list. I am sure they will update. This may sound strange, but for me, those great little (usually quite short) instrumentals often bound on their 12″ b-sides were actually the best Five Star had to offer. At least, they showed me that there was more to them then just delivering hit singles……especially, since many of those IMHO didnt deliver at all……after circa 1987……. No BBC performances then. Shame. I know! BBC performances would have been brilliant, but it’s very expensive at the end of the day, and on this occasion, it just wasn’t feasible. What there is however, is every non-album b-side on CD for the first time, every alternate 7″ version together (and at the same volume finally!) and lots of dubs, edits and instrumental remixes from the likes of Shep Pettibone, David Morales, PWL’s Phil Harding, etc., which makes this set a nice companion piece for any fans of Five Star who already purchased both the individual Cherry Pop album remasters and the Remix Anthology 2CD from a few years back, too. There’s very little crossover/overlapping of bonus material, thankfully. Nothing worse than re-buying the same additional content! The DVD should present the videos in a much better quality than the Performance stand alone DVD title, which relied on VHS transfers for the most part. Are they the full length versions of the videos? Strong as steel is edited on Performance. Was really hoping we would finally get the Peter Pan medley studio version. I came here to ask the exact same thing. Derek Burgess/CJJ – The videos have been transferred from the original tapes, which there’s even a photograph of on the inside booklet. Therefore, they should be in full and an improvement on the previous DVD. I haven’t actually seen them personally, but am hopeful! Derek Burgess – The Peter Pan Medley could not be cleared for use on this release, sadly. It was attempted, however.